If you’ve always thought the Harry Potter viewing experience lacked a certain level of nausea-inducing fly-over shots, neck-craning, and comments from the audience about how big the screen is, then IMAX has the solution to your weirdly specific issue. As announced on the official IMAX website, the original Harry Potter series will be hitting the outrageously big screen to get people excited for the IMAX premiere of Fantastic Beasts And Where To Find Them, the upcoming spin-off/prequel starring Eddie Redmayne. 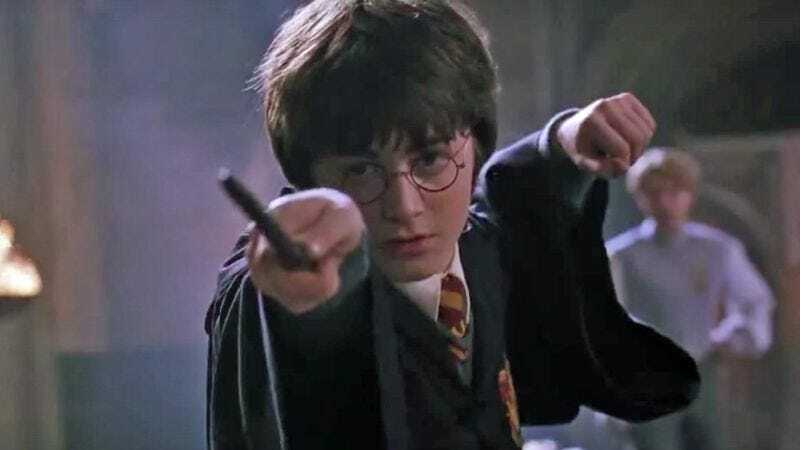 As explained in the cheeky, reference-filled announcement post, this will be the first time all eight of the Harry Potter movies will be in IMAX, and though there’s “no Time-Turner necessary” if you want to see them all, you will only have a week to do it. In addition to bigger versions of the movies you already know and love (plus whichever ones you don’t like), these IMAX screenings will also include an “exclusive peek” at Fantastic Beasts And Where To Find Them, which will be in IMAX theaters in November. You can get more information about these screenings at the official site, but only if you’re not one of those worthless muggles.